KINGDOM HEARTS 3 will be releasing in less than 2 weeks! 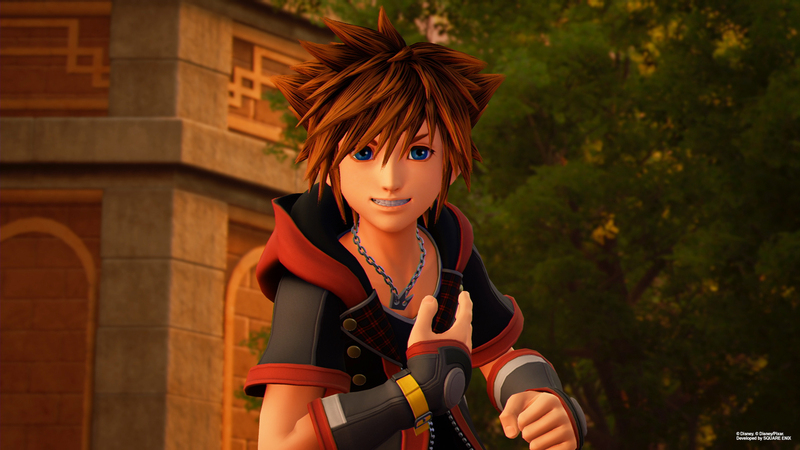 Leading up to this momentous occasion, Caty McCarthy, Features Editor at USGamer, reached out to Haley Joel Osment to ask him about his experience voicing main protagonist Sora and growing up with the Kingdom Hearts series. 2019 marks the 17th year since the release of the original Kingdom Hearts on Playstation 2. It's very rare for an actor to have the opportunity to play the same character for such a long time. Osment began recording for Kingdom Hearts right after shooting concluded for Steven Spielberg's A.I. Artificial Intelligence, as he was starting 7th grade. Recording for Kingdom Hearts II took place during his junior and senior years of high school. But with Sora having aged only 2-3 years since that first game, Osment has had to adapt and learn to alter his voice in order to maintain consistency for his character over multiple titles. "I think there's a lot more variety in the comedy in this version of Kingdom Hearts. Sora's always been an upbeat and positive character but they definitely found some new shade for him in this one that make things pretty interesting. And it's just really helpful to have that experience and, you know, with podcasts and being on those shows with a lot of people who are really talented at improv and everything." However, the recording process certainly didn't go without its fair share of difficulties this time around. 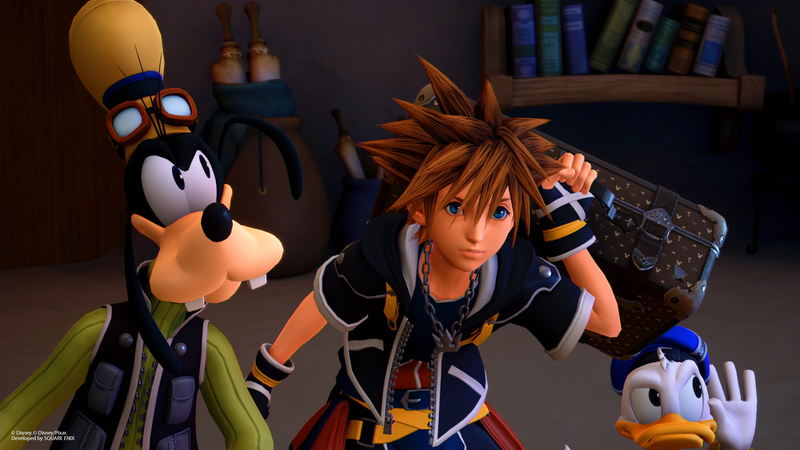 Unlike previous titles, Osment had to record for Kingdom Hearts 3 multiple times over the course of 2018. He had to arrange to do recordings all over North America, when his work required him to travel to Los Angeles, New York and Canada. There was even a point when he almost had to figure out a way to record while he was filming in South Africa, but thankfully, it was not necessary. Kingdom Hearts is a series that has garnered the reputation for having a complicated story. Osment recalls that when he was recording for Kingdom Hearts 2, the producers had a large poster board explaining the plot flow between different dimensions, time travel, etc. However, there have been quite a few new installments in the franchise since then, so he does feel the need to refresh himself in order to keep track of all the story developments. 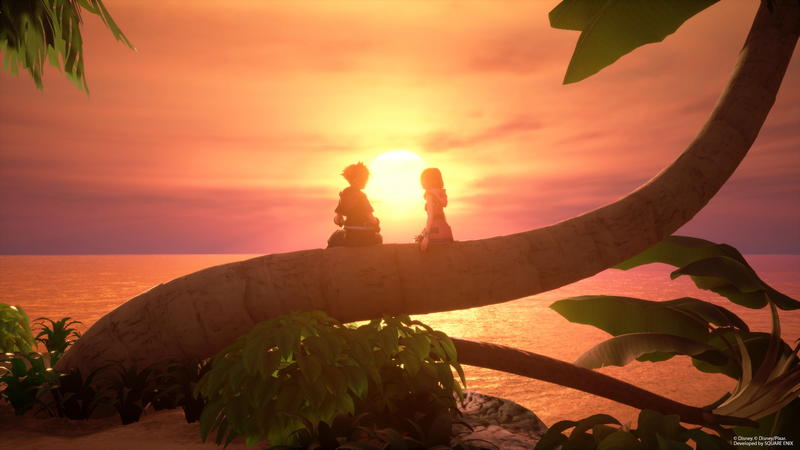 Due to the manner in which they record for the Kingdom Hearts series,the actors don't always have a clear picture of how the story progresses. Scenes could be recorded out of order, and some things even intentionally kept secret. But with the help of the directors, Osment is able to piece things together as he goes along so he has a grasp of what the beats and emotions are in each scene, and what led up to those points. And as always, the entire creative team in Japan is on call during recording sessions so they can provide additional guidance. As Osment looks back on his history with the series, he reminisces about one recording in particular: when he had perform action sounds for Kingdom Hearts 2. "There's almost an entire day that's devoted to just the fight sounds and everything," he says. "That's a little bit more streamlined now. But the first time we did that, back in like 2002, that was like the culminating session for that and they had all the producers and [director Tetsuya] Nomura-san was there. And that was a pretty memorable session, the first time I was like doing this action thing in the studio. [...] We're lucky because we have footage from the game playing in front of me, and it's so expressive and the acting is specific. And there's so much. It feels like dozens, if not hundreds of different sounds for each of the things that you have to hit. But I've been an action movie and video game fan for most of my life so it's the 9-year-old in you. It's not difficult for that to come out when it's time to fill in those actions sounds." "It was heavy," he says. "I mean with some of the directors and producers, we've been working together for almost 20 years now. So it's, it's sad to finish it now but I think with this series there's definitely always the hope that there will be something else. And, you know, it's just such a giant world. I'm hoping this isn't the last time that I get to have a go around with Sora." We think he'll be very happy to hear that Sora's story will continue even after Kingdom Hearts 3. Read the full article at USGamer. We love Haley. He's one of the very best we've got. These insights only confirm it. The fact that HJO almost had to record stuff for KH3 while he was in South Africa is absolutely ridiculous. Wow I didn't realize he was Tom Hanks' son in Forrest Gump. I wonder if he'd have any knowledge as to why the voice director didn't even think to ask Hayden to come back. Imagine doing voice work in so many different places, lol. If I was a VA actor I would hope I can stick in just one booth. Finally, Iâ€™ve been waiting for him to acknowledge the game. HJO is a great guy. This is honestly the most hilarious thing I've read today. Probably not. And if he did I doubt he would say it publicly. He would not, I can tell you right now. I think what excites me most is the bit about them bringing more variety of comedy into this game compared to previous ones. Combined with Nomura saying previously that he thinks this is the funniest Kingdom Hearts game, it has me really looking forward to the comedy in this game, especially since humor hasnâ€™t been as prevalent or well-executed in the handhelds. Iâ€™m sure weâ€™ll need all the levity we can get this time. I heard that he auditioned to be Anakin for the Phantom Menace.... I don't know how I feel about that. "Sora's always been an upbeat and positive character but they definitely found some new shade for him in this one that make things pretty interesting." Also seeing the mood of certain scenes and the apparent comedy, I'm hoping there isn't too much of a constant mood change in the game. And as always, the entire creative team in Japan is on call during recording sessions so they can provide additional guidance. This is beyond awesome. The mere idea of HJO calling Nomura and team about how Sora should react in any given situation in this story of so many intertwined destinies makes me so happy. Honestly I love and appreciate Haley Joel Osment so much and am super happy that he's been Sora for such a long time and enjoy hearing his thoughts, opinions, and insight throughout this interview regarding Sora. I thought the fact that he had a poster board for the plot flow was pretty hilarious yet also understandable and loved that this was mentioned. I'm also looking forward to this new shade of Sora and the fact there will be more comedy with his character. I wonder how they have him do the voices when he was working in differing locations in North America like do they have him take his lines and work on them aside from his other projects or what? Do they do video and or voice chats about the line and have him study and or practice when he's not working that day and or not too busy with his other roles? I think it's cool that he got to work with Tetsuya Nomura and the whole team and that they were are on call in order to give him advice and input on what they wanted which is pretty cool. I think it's kind of interesting that he also worked on the fighting sounds too. I'm honestly really glad to hear that he is still willing to be on board with Sora. I truly hope that he'll continue to voice him as the series progresses onward to other things after the Dark Seeker Saga. Osment recalls that when he was recording for Kingdom Hearts 2, the producers had a large poster board explaining the plot flow between different dimensions, time travel, etc. I'm glad they kept him around, even if they had to go through so many hardships. But more than that, I'm glad HJO can still give me a great performance. I barely hear any difference between his performance in KH3 and KH2, and after the disaster that was his performance in KH3D, this is the best I could've asked for. Because honestly, as much as I may like a voice actor, if he/she can't do it anymore it's time for a change. Considering how much different HJO voice is in KH1, it actually feels like teen Sora already had two different voice actors. I would be pretty sad if he didn't return post-KH3, too.